As we believe that the Coptic Orthodox Church is the Holy and Sacred Body of our Lord and Savior Jesus Christ, we also believe that there is a direct and strong connection between our Coptic Church’s Fathers, our holy Apostles, and the Lord Jesus Christ Himself. Therefore, the Faith, which was submitted by our Lord Jesus Christ to His holy Apostles, was the same faith submitted to their holy successors who preserved it and submitted it unchanged to their children throughout all the generations of Coptic Christianity. 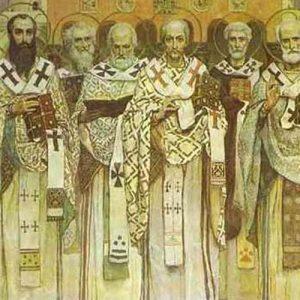 Without the Apostolic Fathers and those holy Fathers who followed in their footsteps we would not have the blessings of “the authentic and unchanged faith” in which we have today.